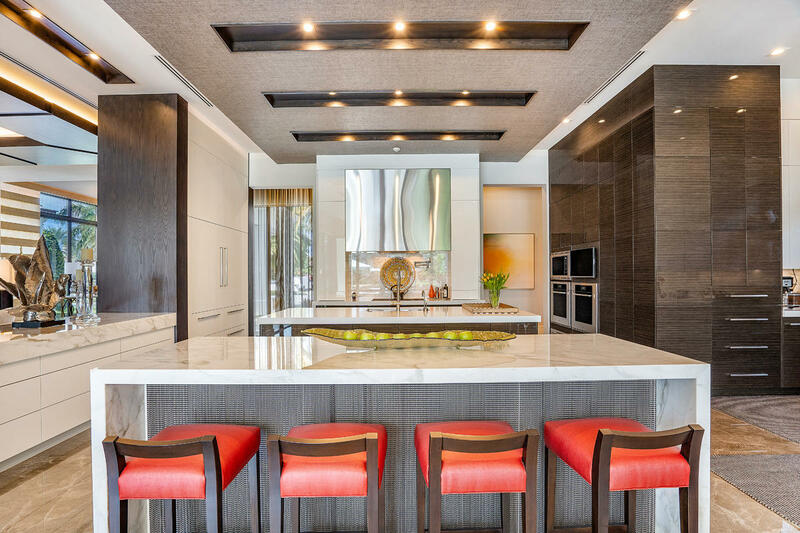 lit multitiered ceiling. 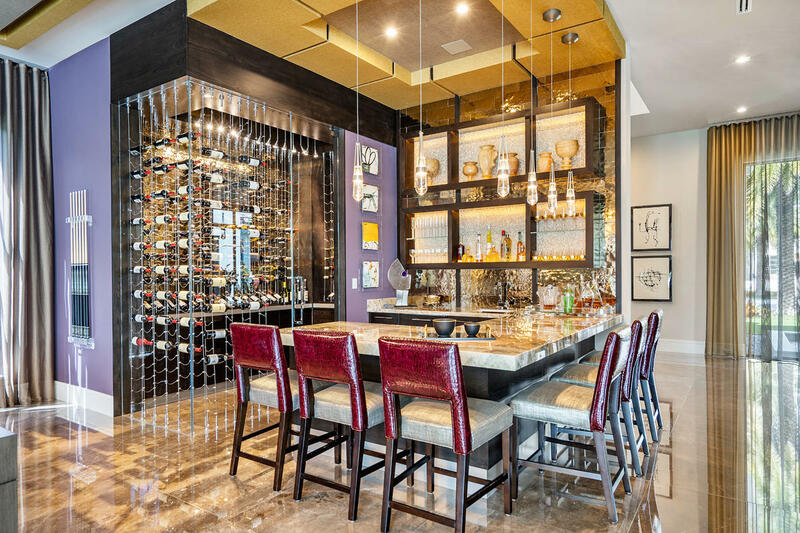 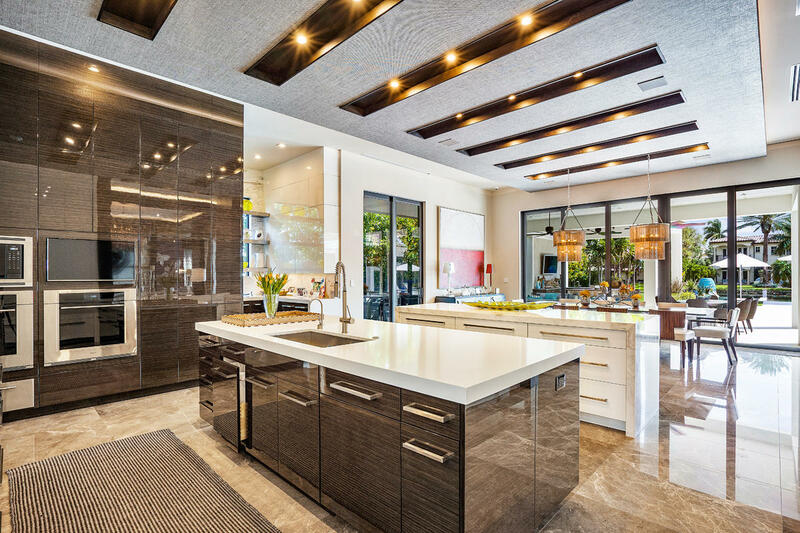 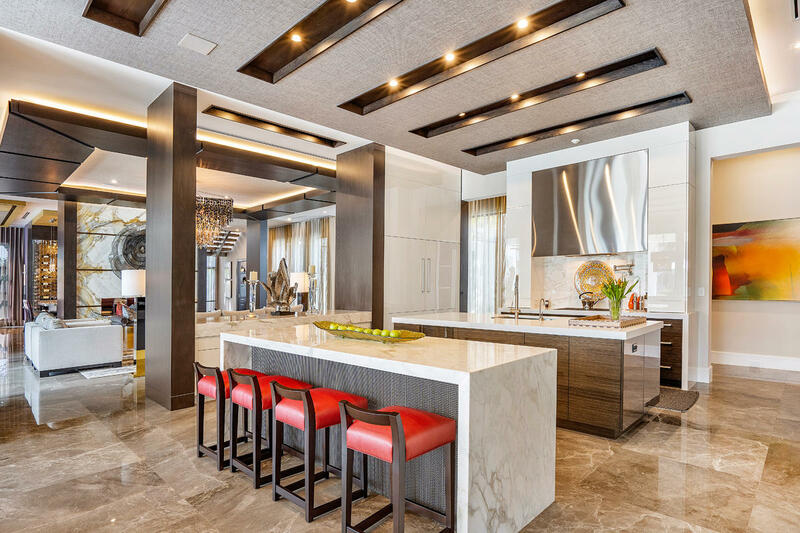 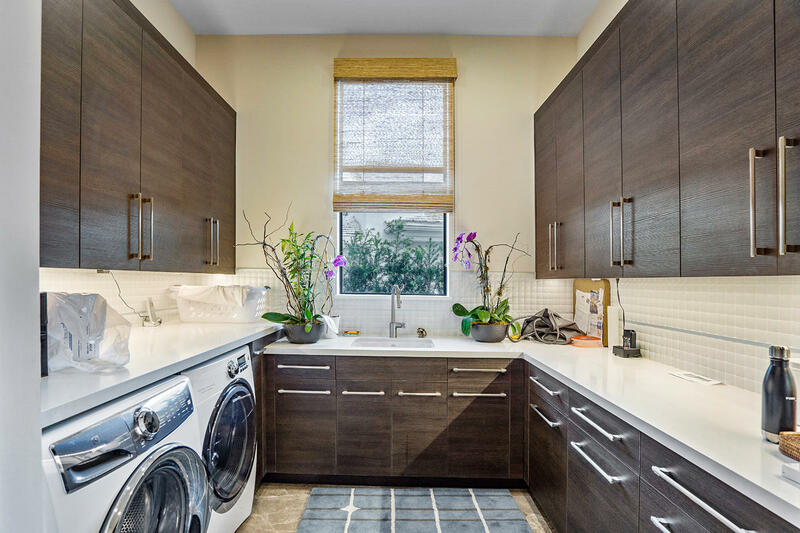 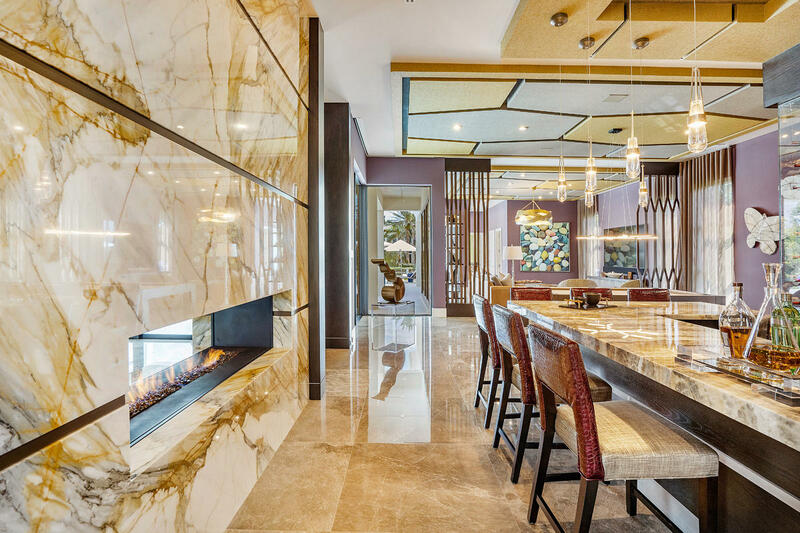 The gourmet kitchen is sleek with sleek hi-gloss veneer cabinets, imported solid counter tops, two center islands and an eat-in dining area that comfortably seats 10 guests. 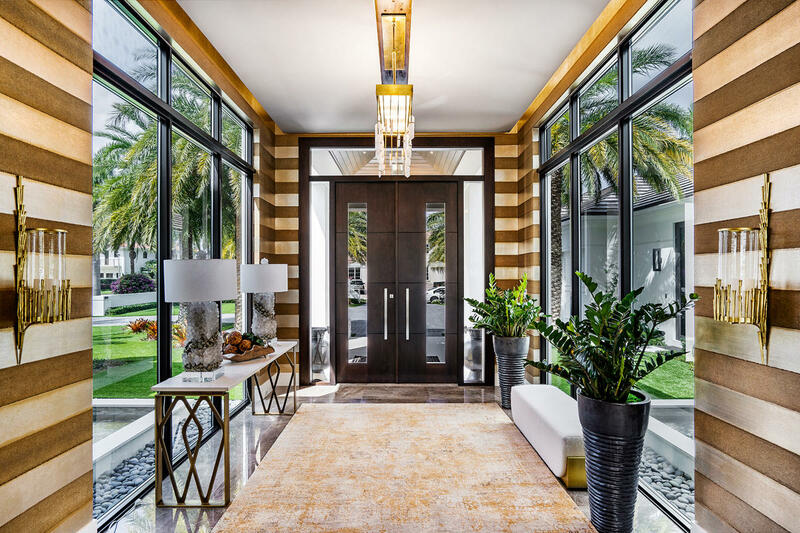 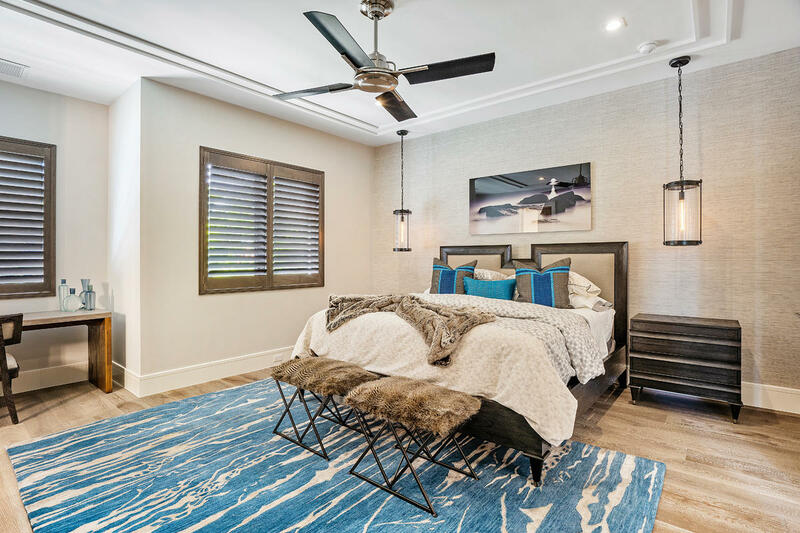 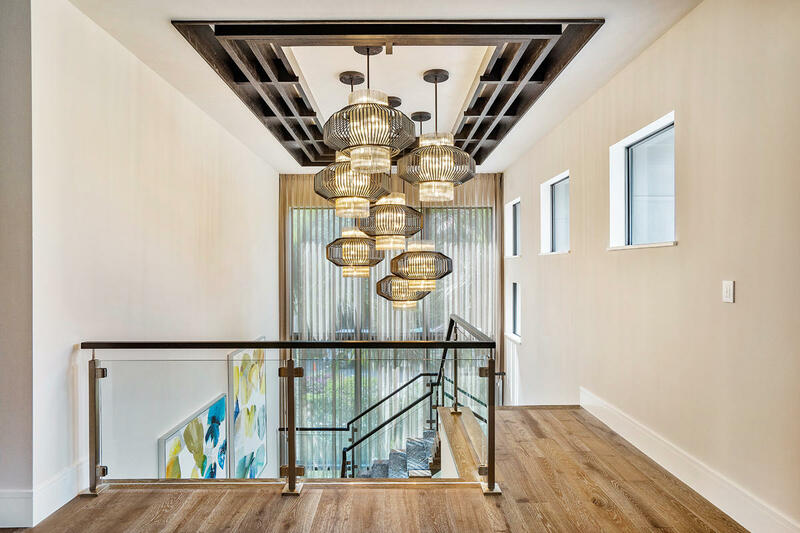 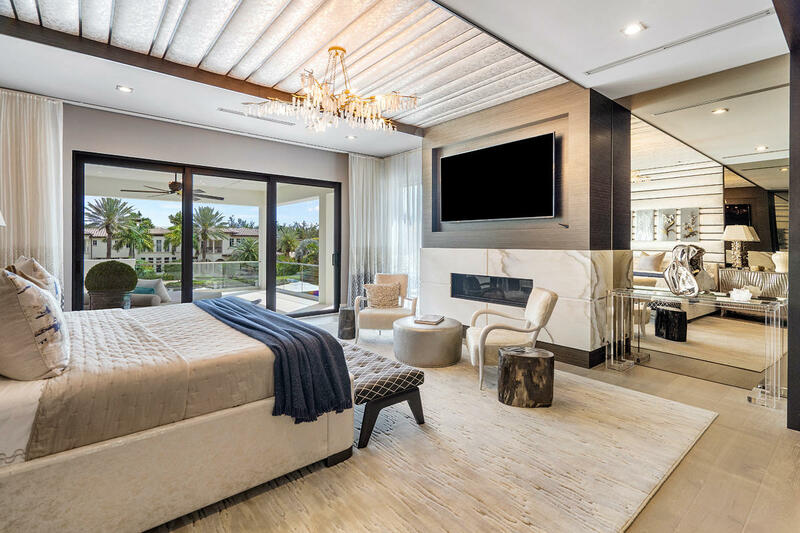 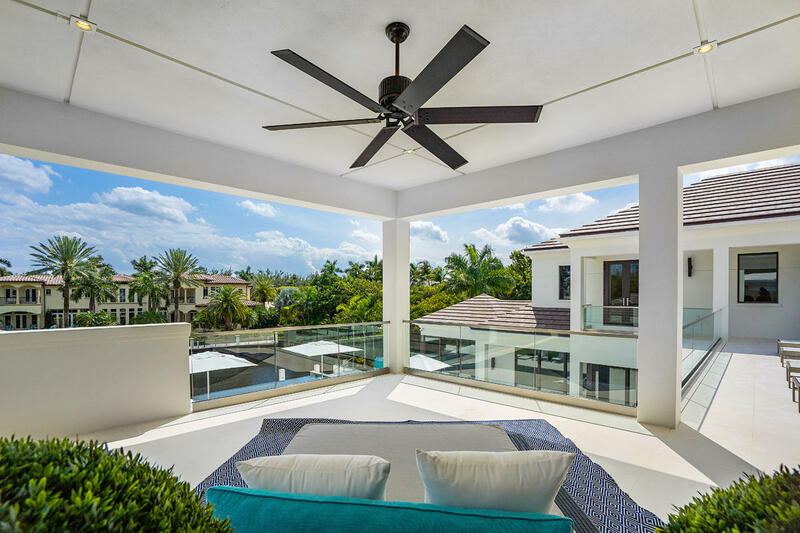 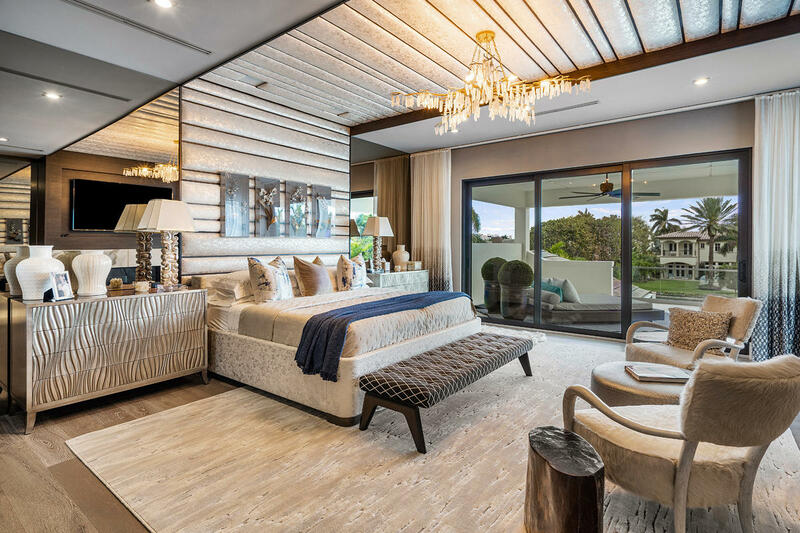 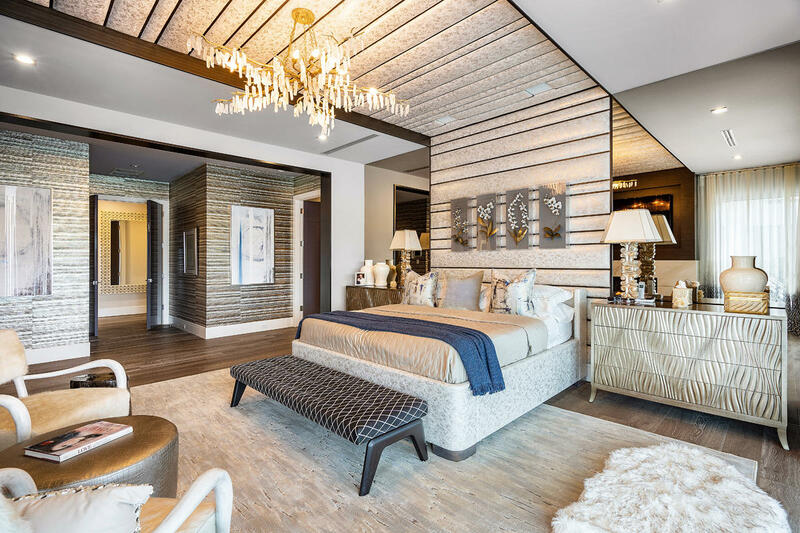 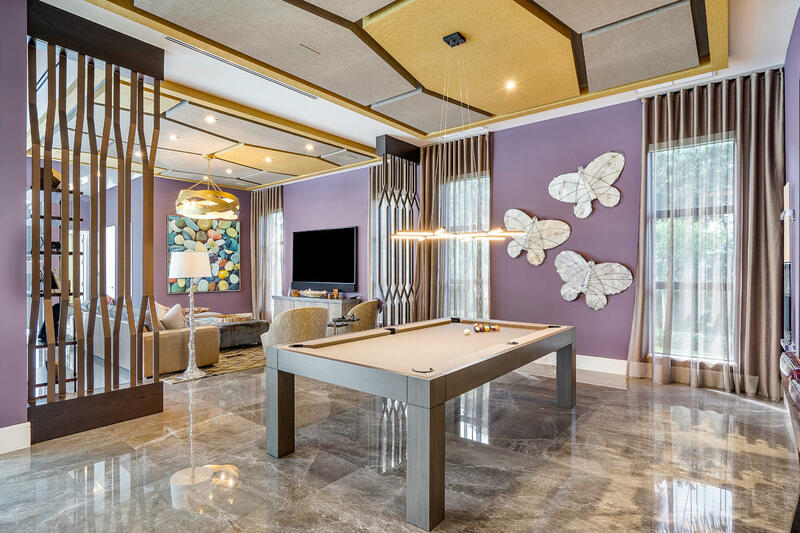 A luxurious master's retreat awaits you on the second floor displaying a custom upholstered bed wall, inviting sitting area, linear fireplace, and a private covered balcony with sliding glass doors overlooking the pool and waterway. 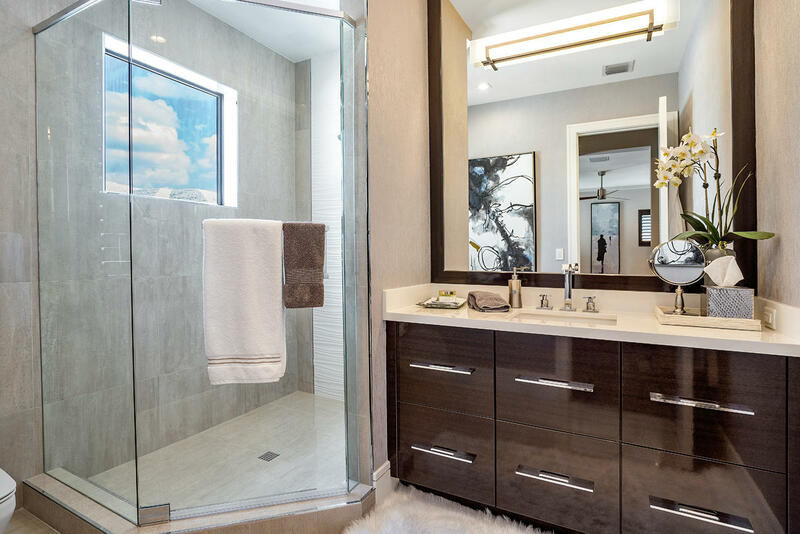 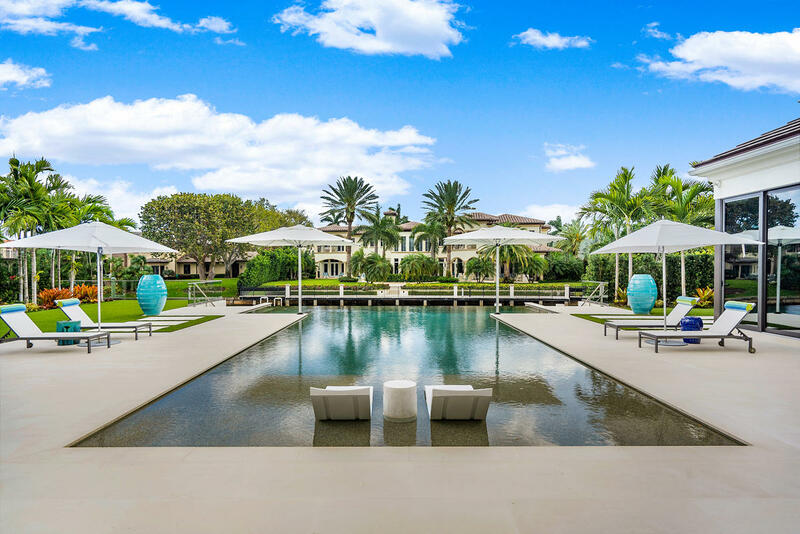 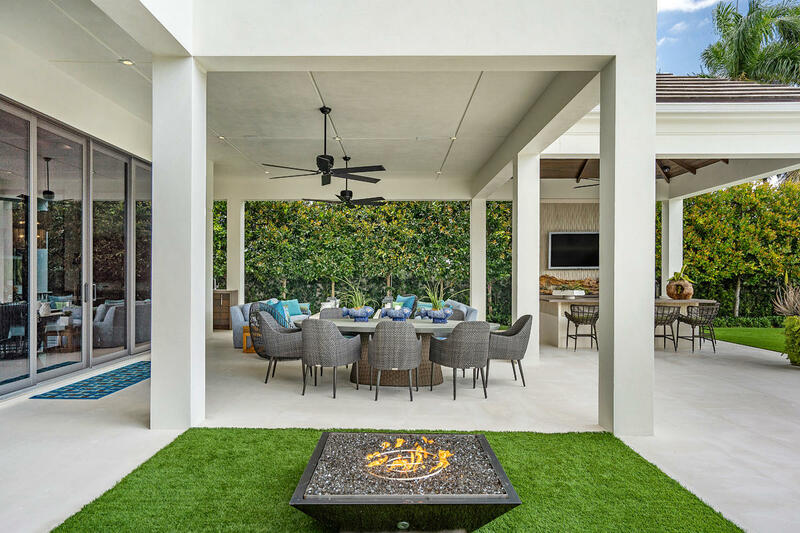 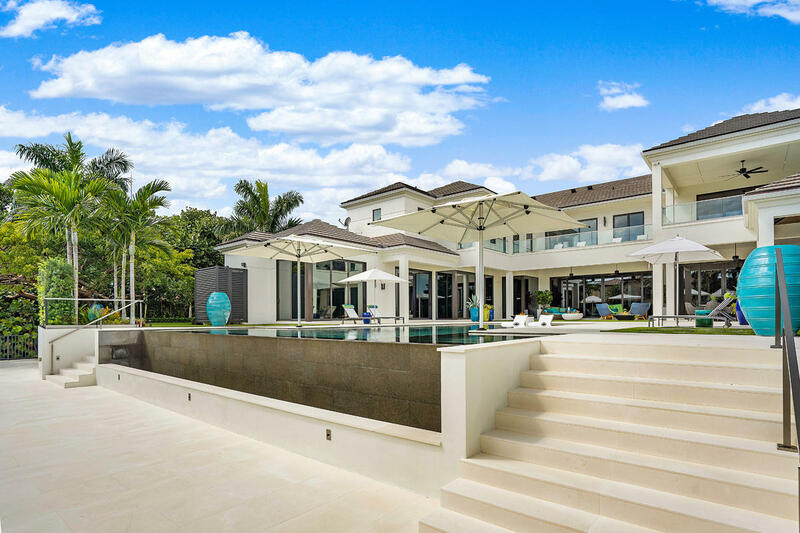 The exterior of the home features a resort-style backyard with a southeast exposure featuring a heated infinity edge pool with a sun shelf, spa, fire bowls, shade umbrellas, and an outdoor shower. 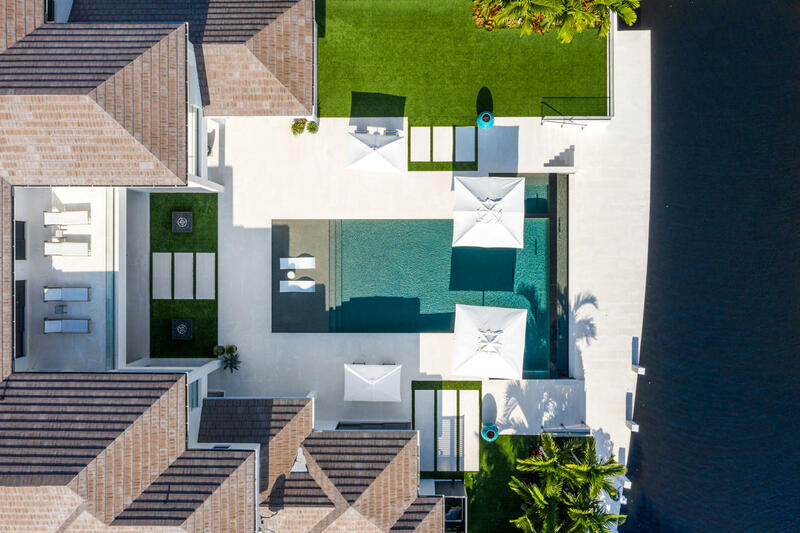 Complimenting the pool is a white porcelain tiled patio surrounded by colorful landscaping, covered and open lounge seating areas, and premium artificial turf grass. 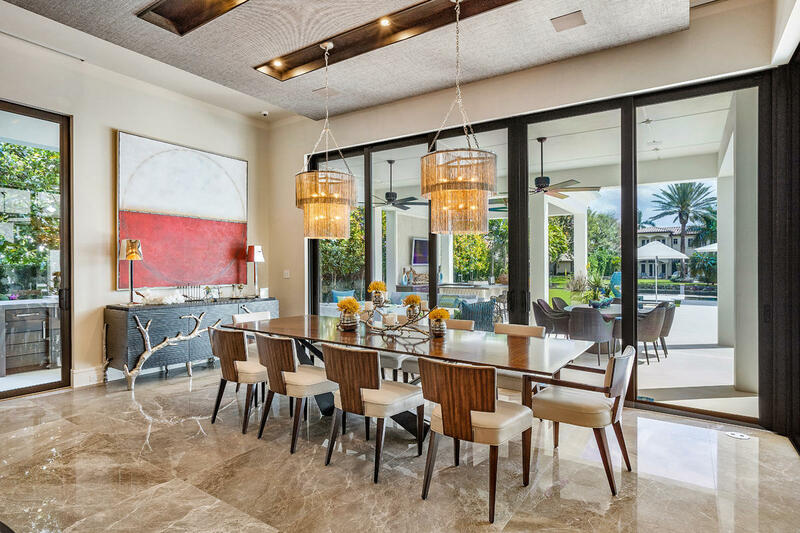 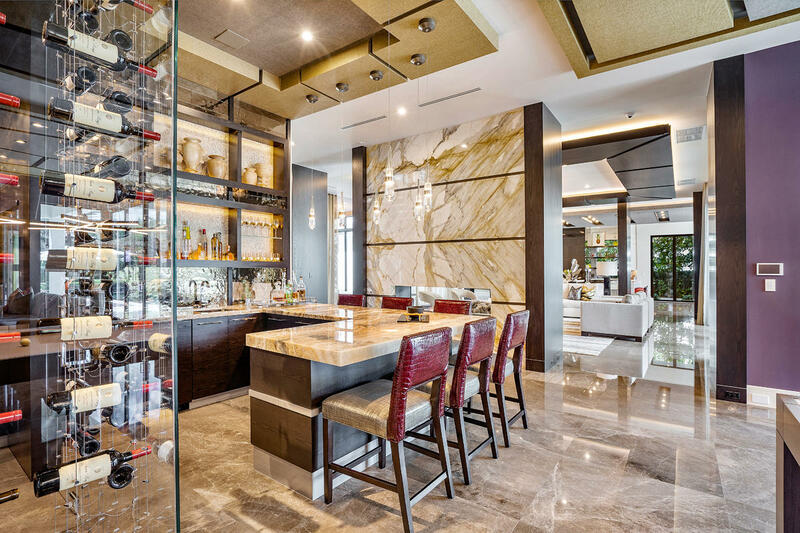 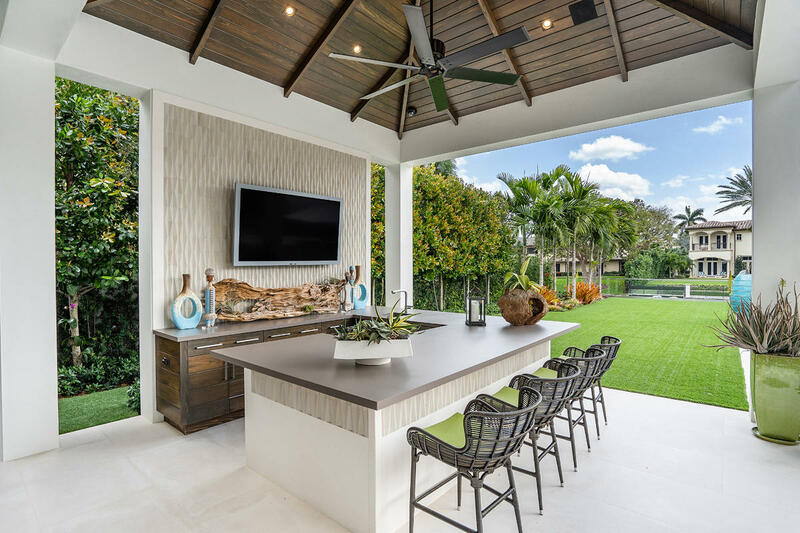 The loggia and summer kitchen are perfect for entertaining with built-in cabinetry, durable engineered marble counters, ceiling mounted TV, Alfresco natural gas grill, SubZero refrigerator, sink, dining, and bar seating. 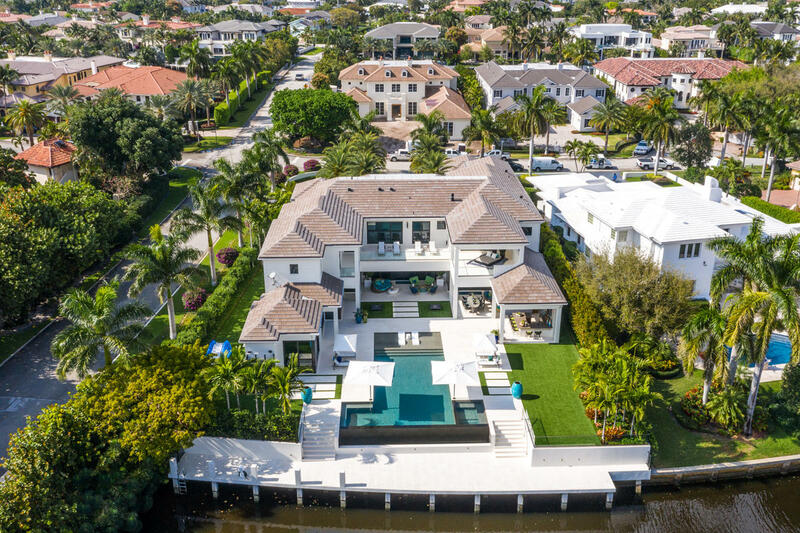 Boat ready, discover the concrete deep-water dock featuring a stone deck, power, water, and direct Intracoastal and Ocean access. 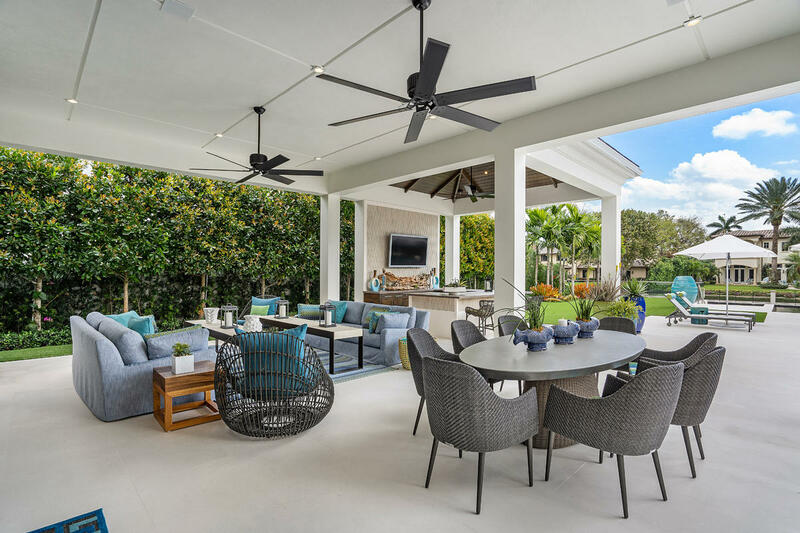 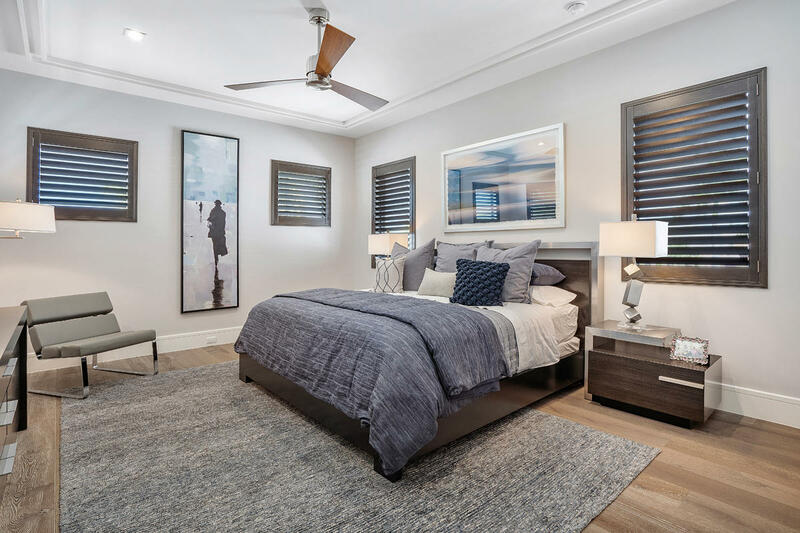 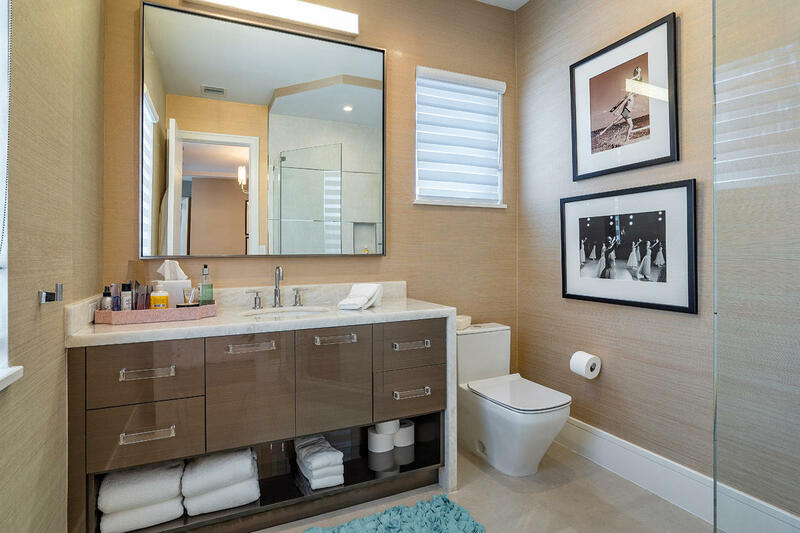 The home has hurricane resistant construction, including windows, exterior doors, exterior shell, and a whole house natural gas back-up generator. 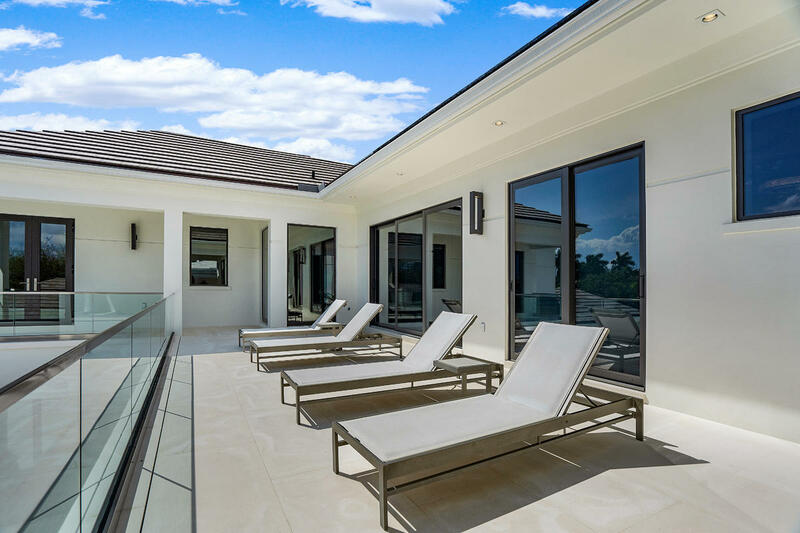 In addition to being safe, the property is also smart with its Crestron system that has remote tablet controls for the pool, music, lights, cameras, climate, security and more. 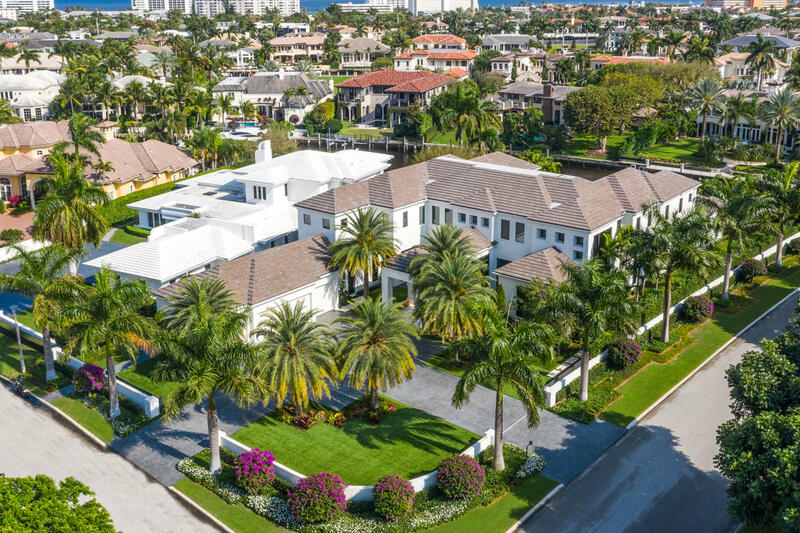 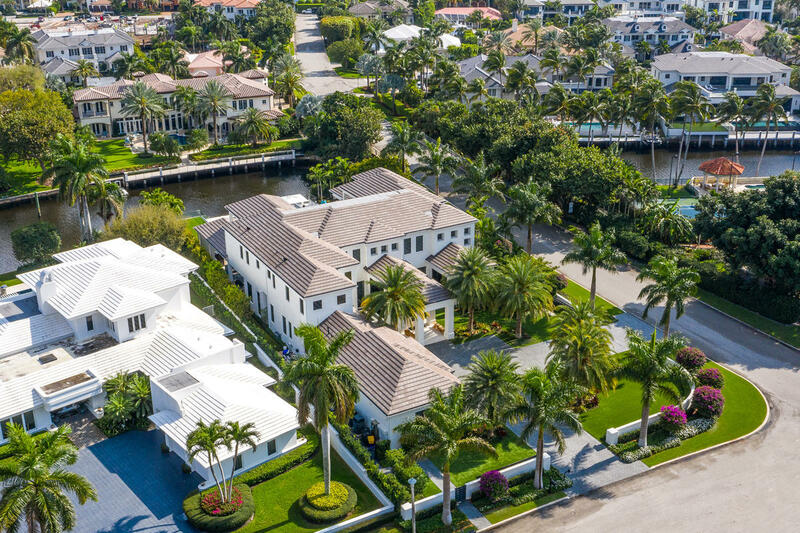 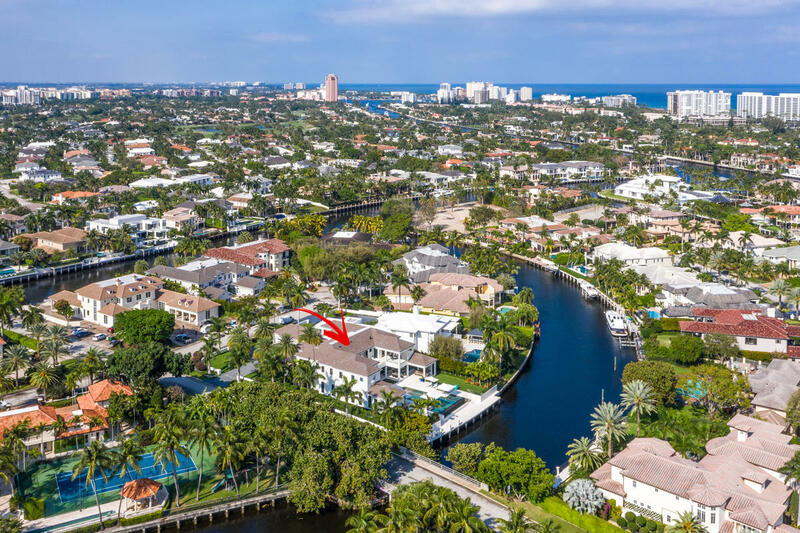 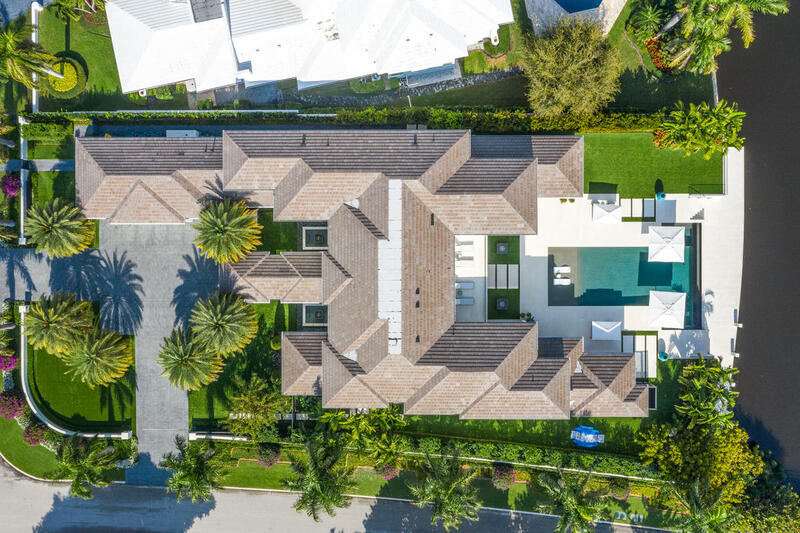 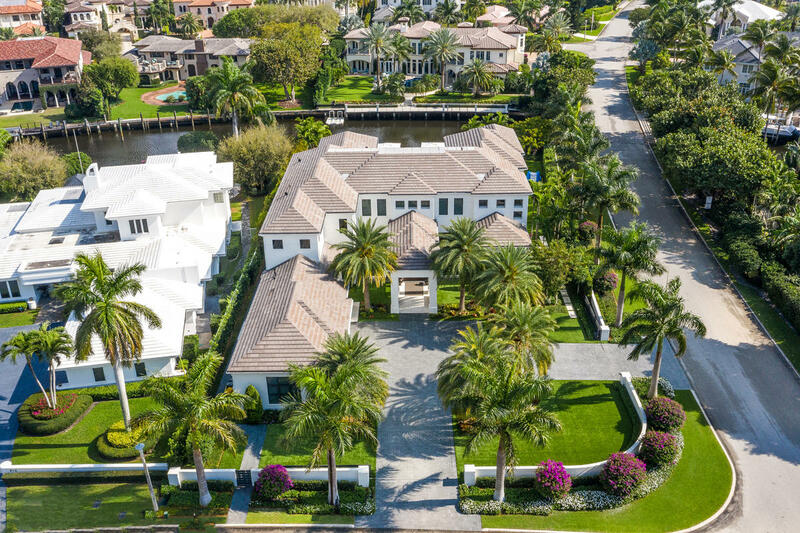 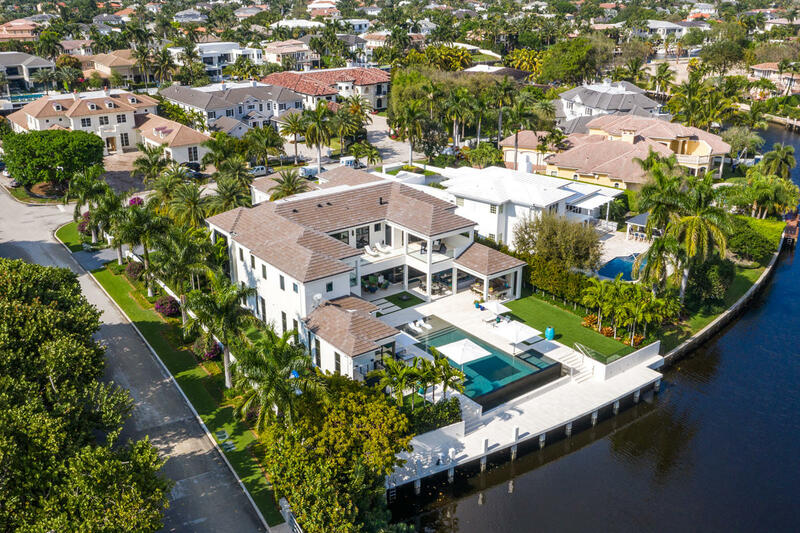 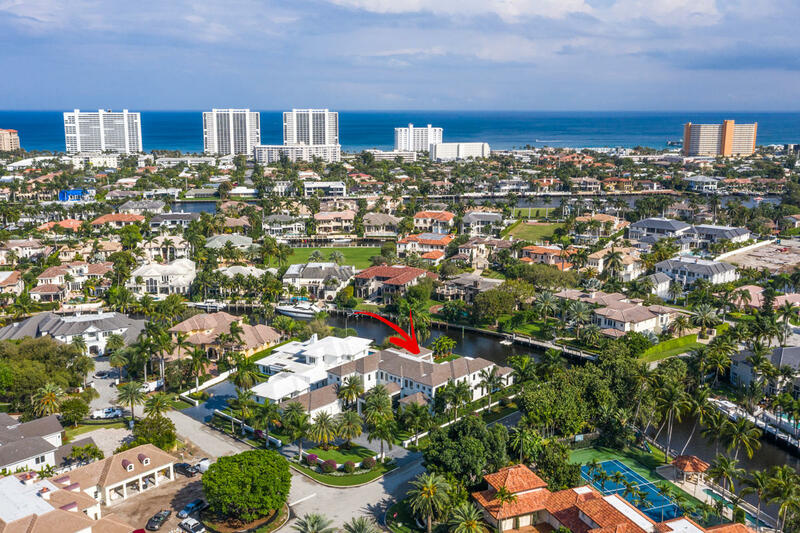 This is a one of a kind waterfront estate in the prestigious Royal Palm Yacht & Country Club community. 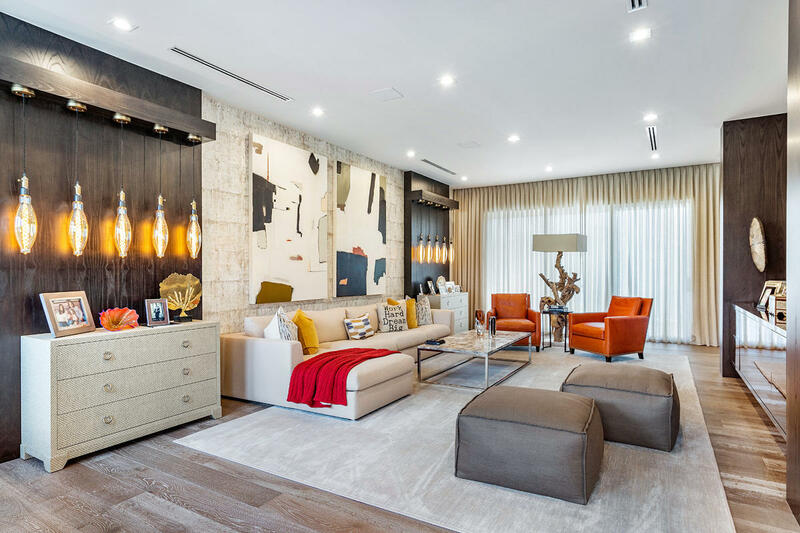 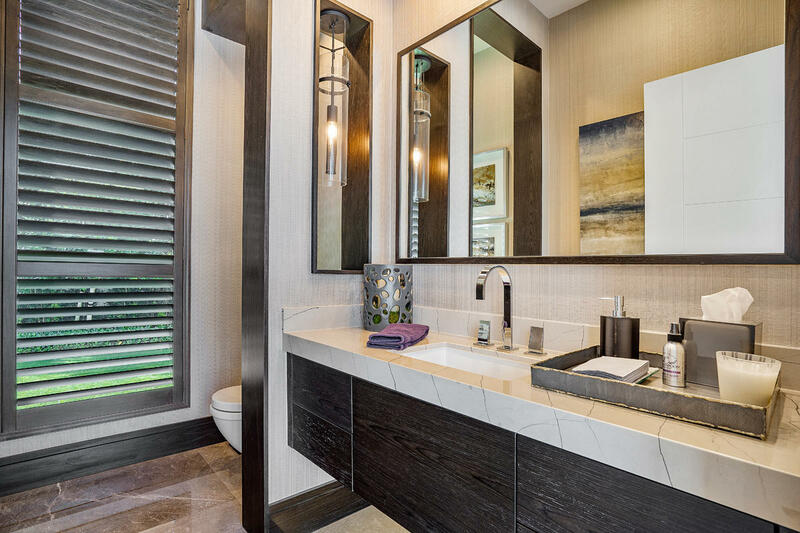 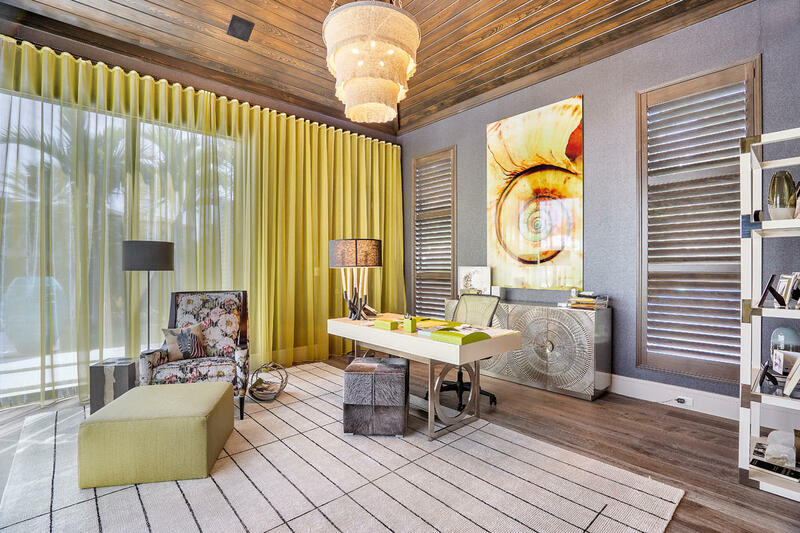 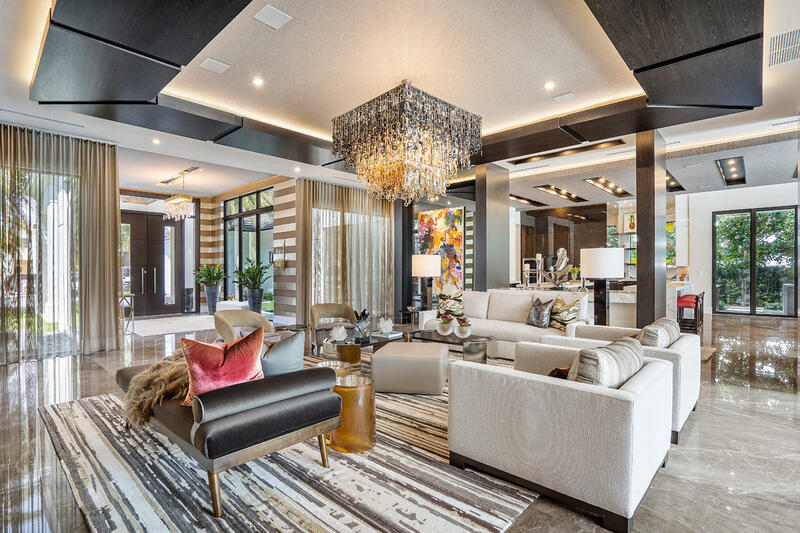 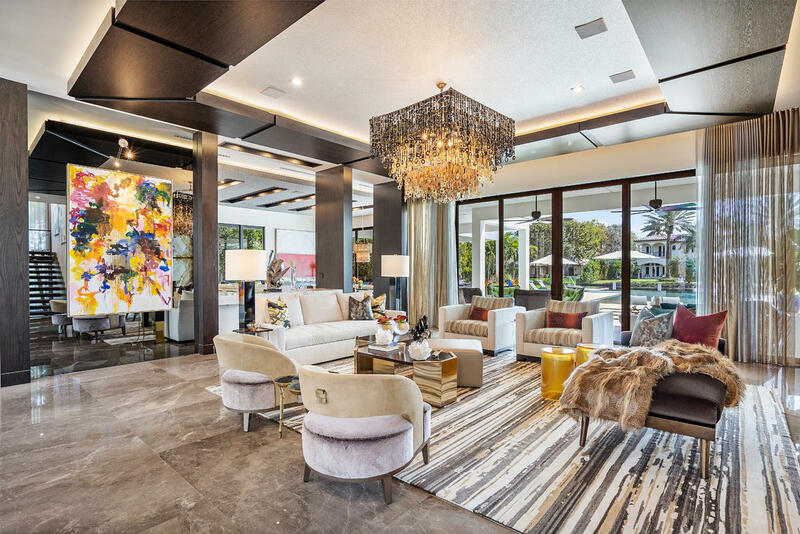 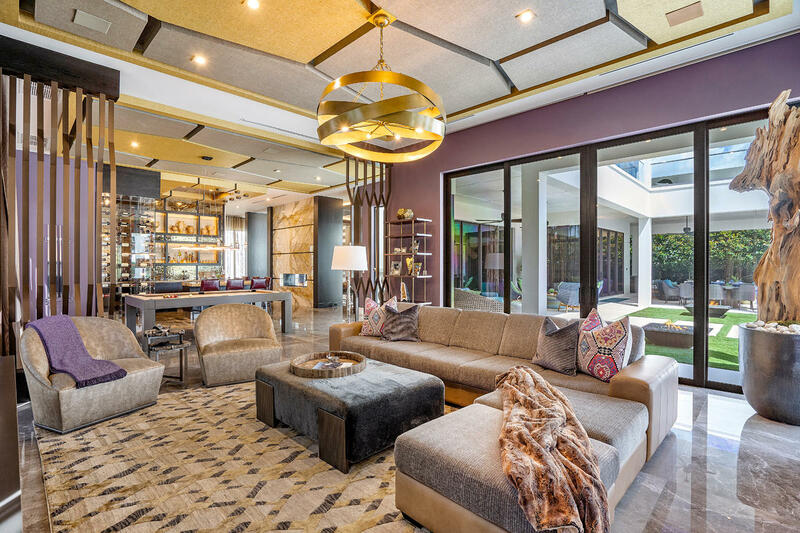 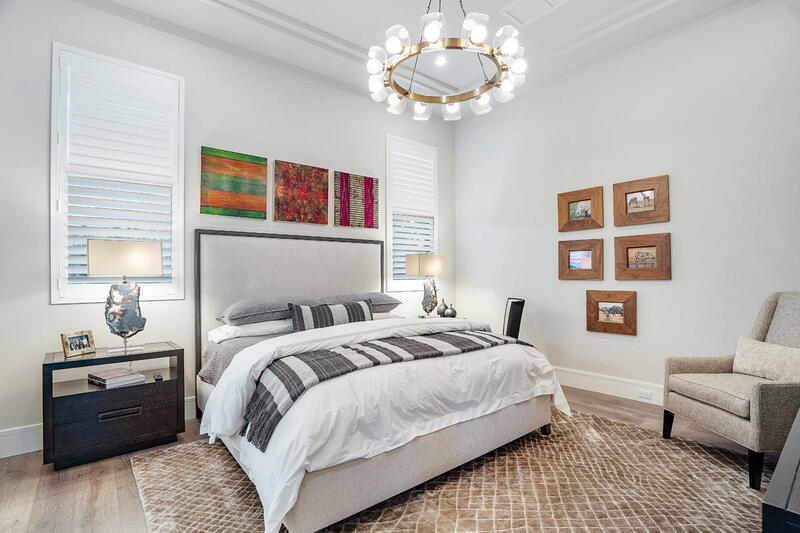 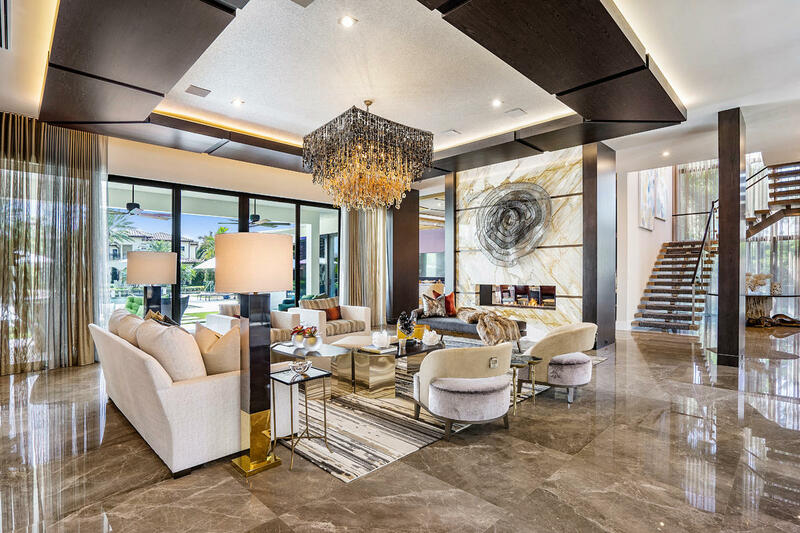 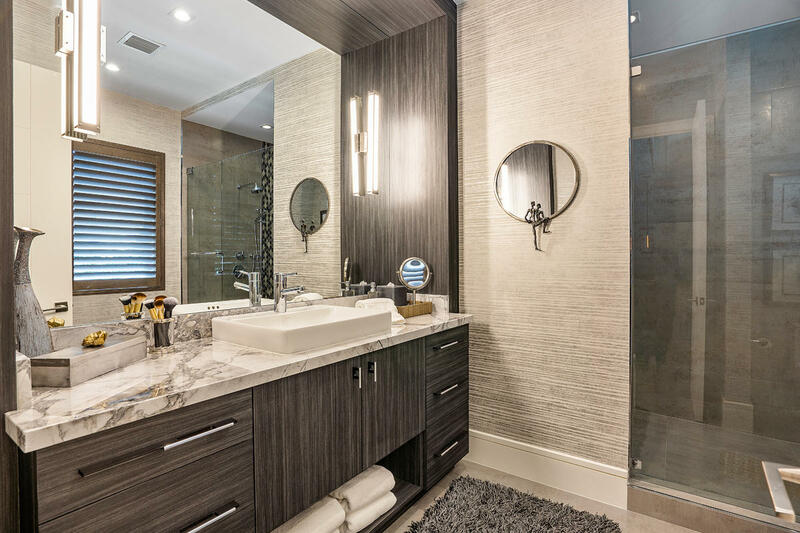 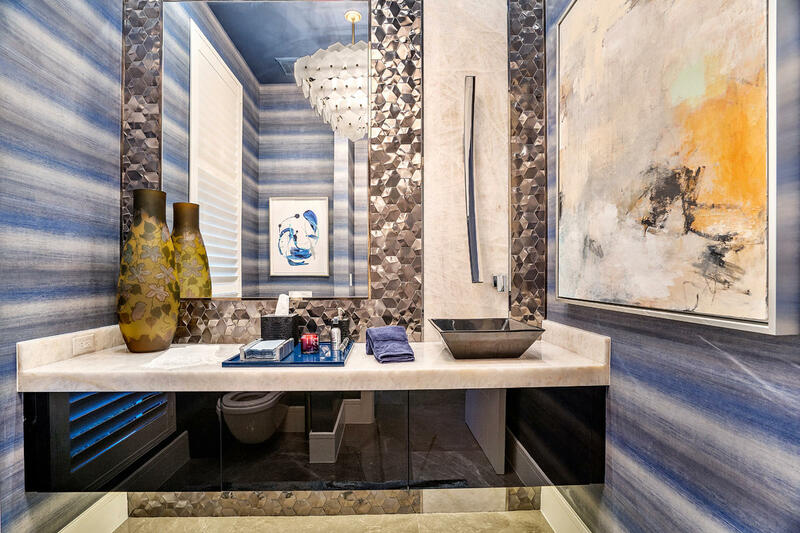 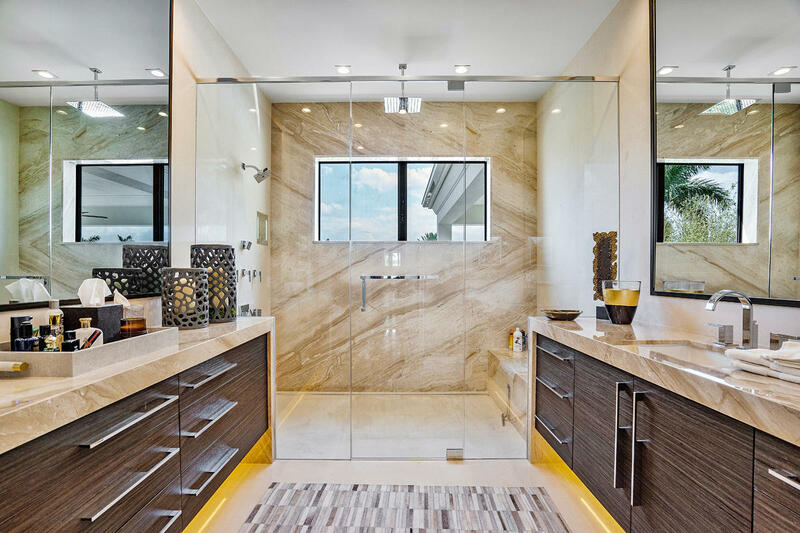 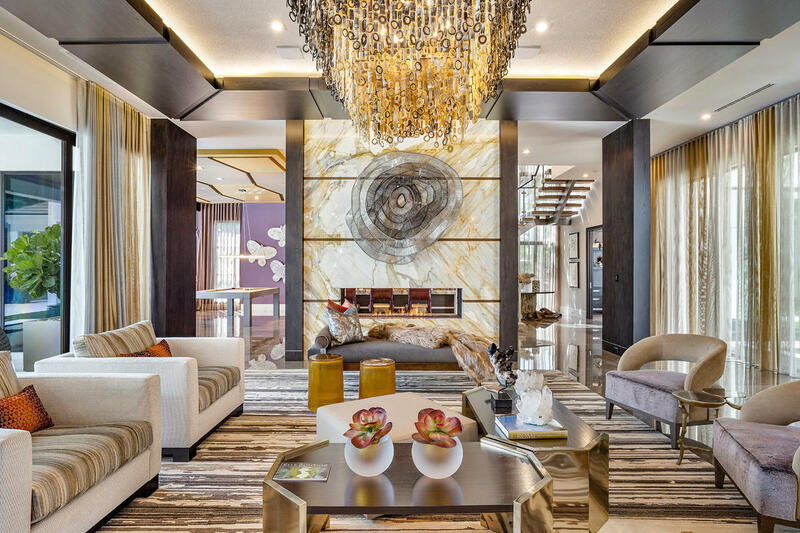 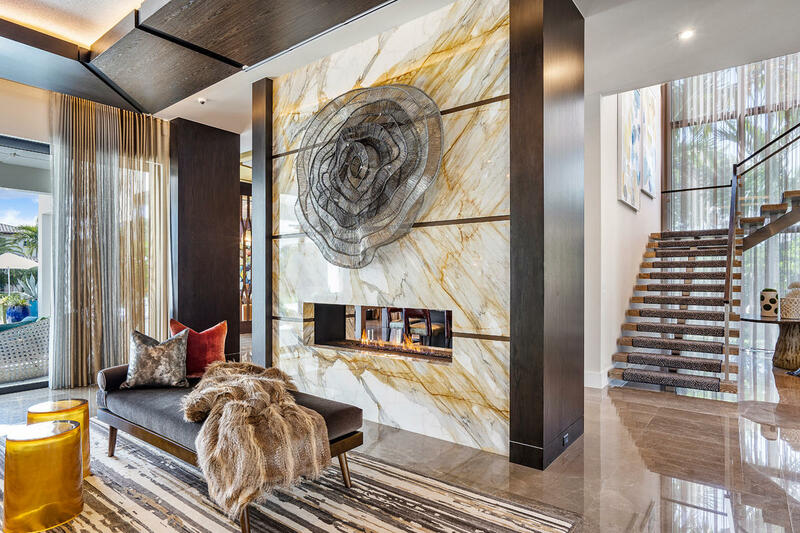 Interior designed by Marc Michaels Interiors.